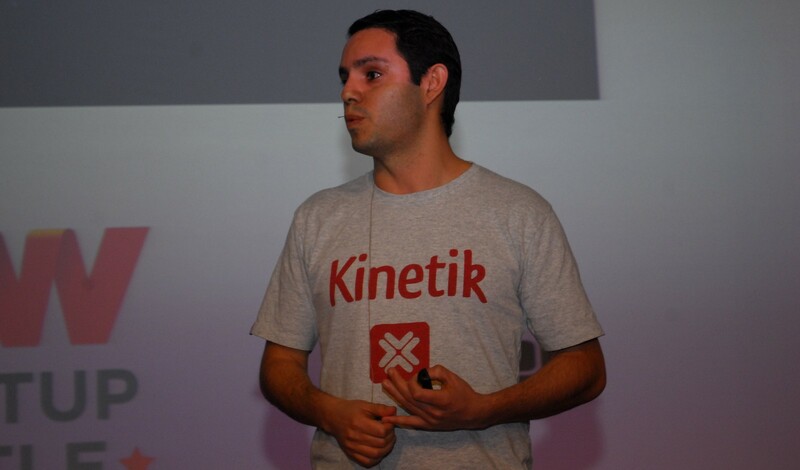 The team behind cool app Kinetik has entirely redesigned its app recommendation platform and relaunched it under the name HIP, the Argentine startup announced today. The new app quietly launched on Google Play few days ago, followed by an iOS version that is optimized for the iPhone 5. It is currently free, but its creators say it will eventually turn into a paid app. In other words, you may want to donwload it now if you are interested in testing it. If you were already using Kinetik, you will still have to do this manually, as both apps will temporarily coexist before the old one goes dark next month. HIP’s recommendations are organized around three main feeds: a newsfeed, a friendfeed and a dealsfeed. In addition, you can look for apps by category, set up your notifications and create a wishlist. As its name suggests, the dealsfeed displays apps that are temporarily on sale or free, while the friendfeed shows recommendations from your Facebook and/or Twitter friends, depending on which accounts you decide to connect with the app. As for the newsfeed, it adds a new layer by pulling reviews from tech blogs such as the one you are reading now, as well as from the App Store itself. While the newsfeed concept is interesting, its implementation is somewhat tarnished by the fact that it doesn’t distinguish between positive and negative opinions. In other words, an app on which we wrote a tepid review will still show up as “loved by The Next Web,” though you can still click to find more details. On the other hand, it is often helpful to be able to go beyond your friends’ recommendations, and hear about fresher apps you wouldn’t have heard of if tech bloggers didn’t exist. It is also worth noting that you can remove media outlets you don’t want to follow. To adjust your preferences, all you have to do is to untick boxes in the Blogs section. In a similar fashion, HIP lets you “Love your apps” by creating a list of the apps you have already installed. You can then recommend them to your friends in a few taps – it’s actually quite fun, and I ended up clicking on a bunch of mine. This is perhaps the best designed HIP section, and that’s not an accident: it is crucial for such an app to nail the recommendation process, and to give users an incentive to share their favorites with their friends. HIP then uses these results to fill in your friendfeed and your friends’ profiles. After graduating from NXTP Labs‘ acceleration program in Buenos Aires, HIP’s team has joined Wayra Argentina last August. As some of you may remember, they also participated in TNW Conference Latin America’s Startup Battle (see a video of Moreno’s pitch).